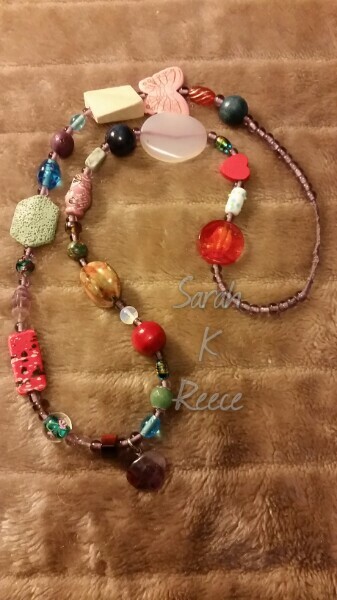 I’ve made the necklaces that Rose and I will take into labour with us, from the beautiful beads our friends and family gave to us with blessings and advice. 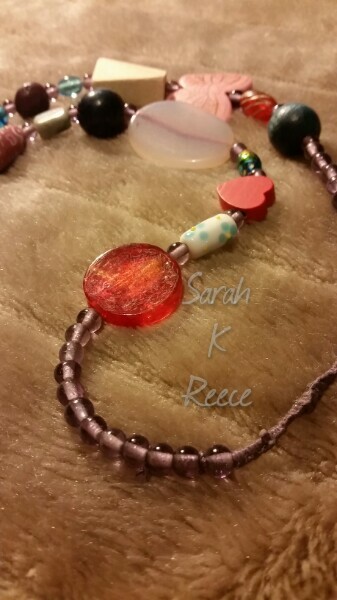 Mine has an amethyst heart from Rose at the centre and purple glass spacer beads. 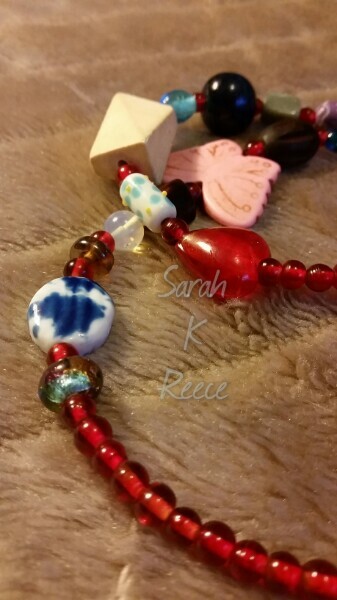 Rose’s has a bloodstone heart from me and red glass spacer beads. 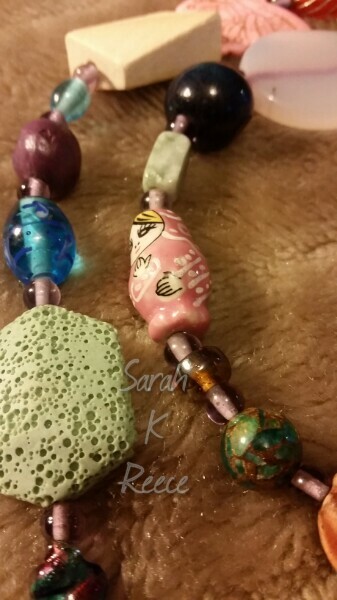 Each of the accent beads are unique and beautiful and we’ve been able to recall who most of them are from which is beautiful. They are all glass, stone, timber, or ceramic, (natural materials, I have a loathing of acrylic beads) with different sizes, shapes, and textures which makes them perfect for ‘worrying’ at and using for grounding. 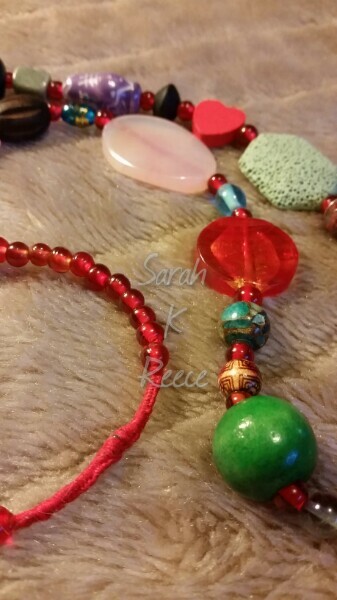 I wrapped the part that sits behind our neck in cotton thread so the weight of the beads isn’t uncomfortable to wear. They are also waterproof. I’m very proud of them and thrilled Rose planned them, taking our tribe with us is a beautiful idea.